“ I found Classic & Retro by chance, when I came with a friend to drop his car off at a neighbouring garage. 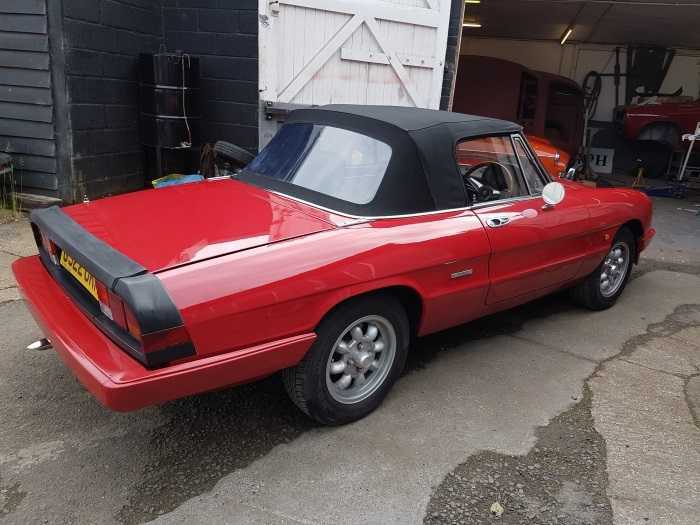 My 1989 Alfa Spider S3 needed some bodywork and mechanical work doing. So I checked out their website, liked what I saw and booked an appointment with Beverley, Chris & Dave. From the start, I can only say that it has been an absolute pleasure to work with the Classic & Retro team. Their total understanding of what the customer wants, their knowledge and know how, of how to get things fixed where others couldn’t. Their suggestions on how to approach specific problems has been a real eye opener. There is nothing that Alfa specialist Dave Forrester doesn’t know when it comes to a fickle Alfa engine, a rusting Alfa panel or a failing Italian cooling system. All the work was estimated prior to them starting the job - so there were no surprises when it came to the final invoices. A huge thank you to all the team. 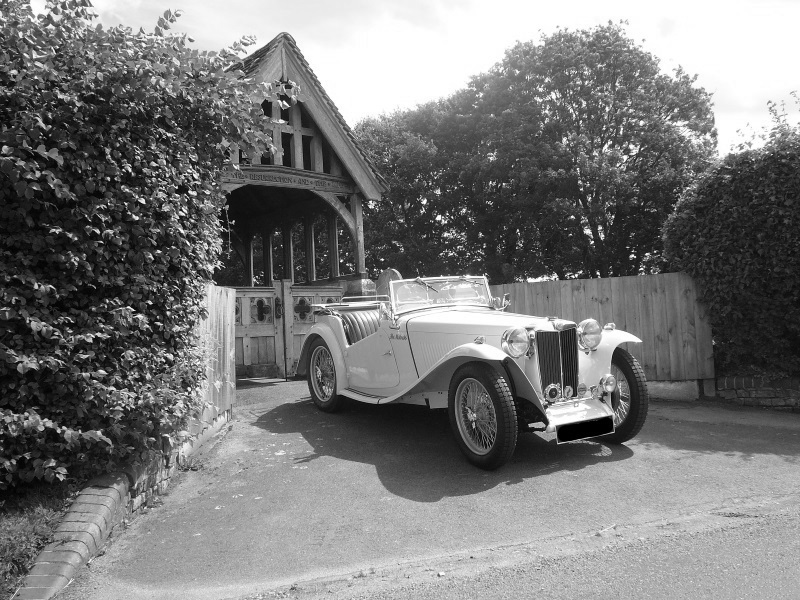 I would recommend Classic & Retro to all fellow classic car owners for a friendly superb all round service”. 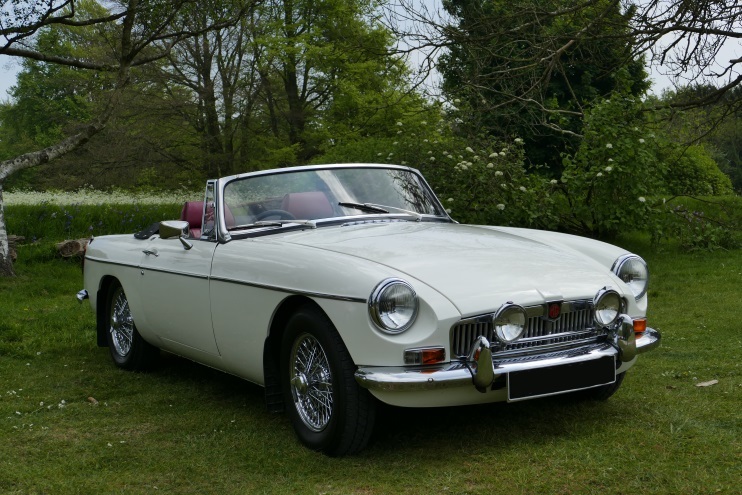 We and our 1970 MGB roadster were new customers with Classic and Retro this year in April. After first meeting Chris and Beverley at their premises with our MG and discussing the work we would like carried out and taking advice from Chris we booked the car in. 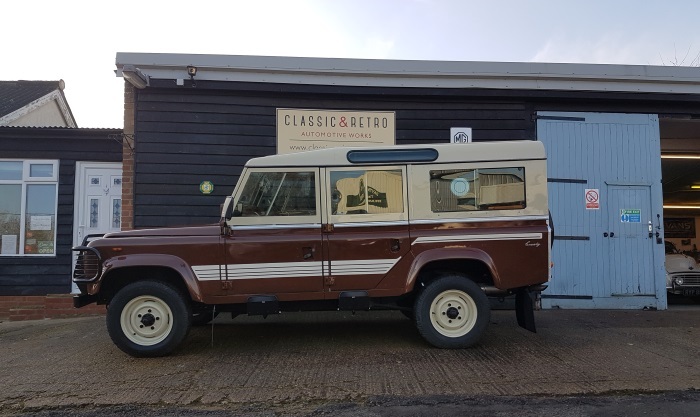 The work we had carried out was a complete full service and carburettor tune, single line brake servo fitted, new rear brake shoes and hub seals, Evans waterless coolant conversion and investigation on the dashboard lights. All the work was carried out promptly as we were taking the car to the south downs for a long weekend and a local MG charity run. Both my wife and myself were amazed at the difference in the running of the car, it has always run as we thought very well but after Chris had performed his wizardry the car was an absolute dream. I would also like to point out that with regards to the service, Chris found that the air cleaners were clean and so did not charge or fit replacements. Our MGB was also immaculately cleaned for us on collection. We can honestly and totally recommend Classic and Retro and will have no hesitation in returning in the future. Many thanks for the work you did on My TC. I am very pleased with it. I have been out a few times now and she is running much more smoothly. Will recommend you to other like-minded enthusiasts. Just to say, again, how delighted we are with the V8 Land Rover County. She looks not just as if she has just come new out of showroom, but one that has been prepared for Olympia! As a repeat customer I have always been pleased with the knowledge and passion for classic cars. Honest , hard working and focused on delivering high quality restoration. All done with knowledge and insight. 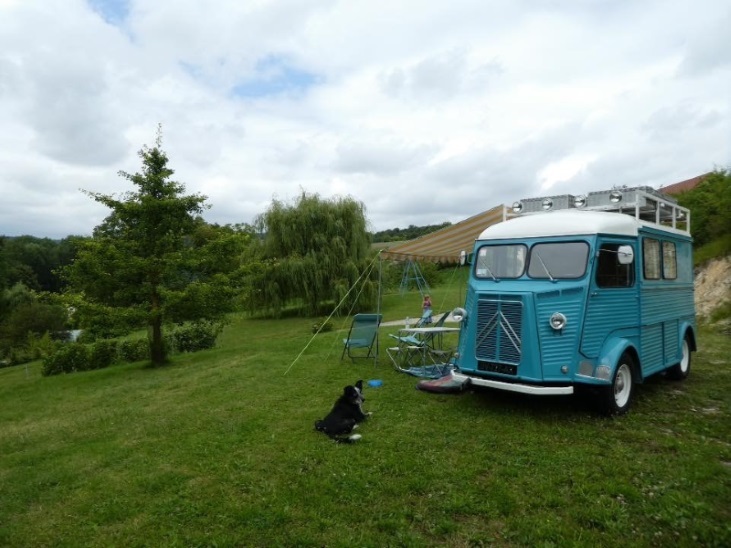 Hello and thank you from France! 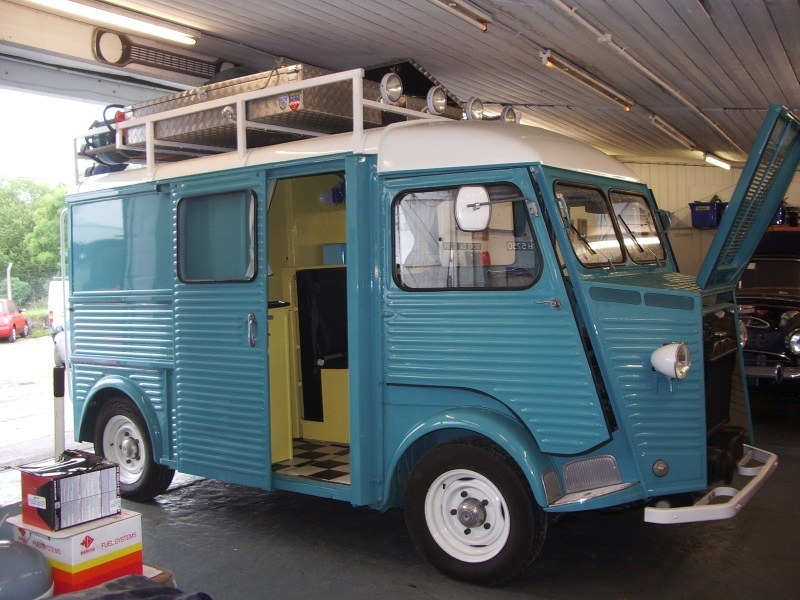 Our 1963 Citroen Hy arrived at Classic & Retro one day coughing and sputtering, and left a day and half later well and running like a clock. We had been to two other mechanics, the previous two days and our van just got worse caused by mechanics not used to working on vintage vehicles. Classic & Retro understand old vehicles and not only found our van's problem but repaired the damage caused by the other mechanics. They also noticed issues which might have led to a future breakdown and repaired those as well. We can't recommend Classic & Retro enough. Please feel free to email john@lifeatanangle.com or jane@lifeatanangle.co if you have any questions about our experience. P.s Thank you for saving our holiday! I would like to thank your team for the work you have done to get my Austin back on the road again. the level of attention to detail has been considerable. 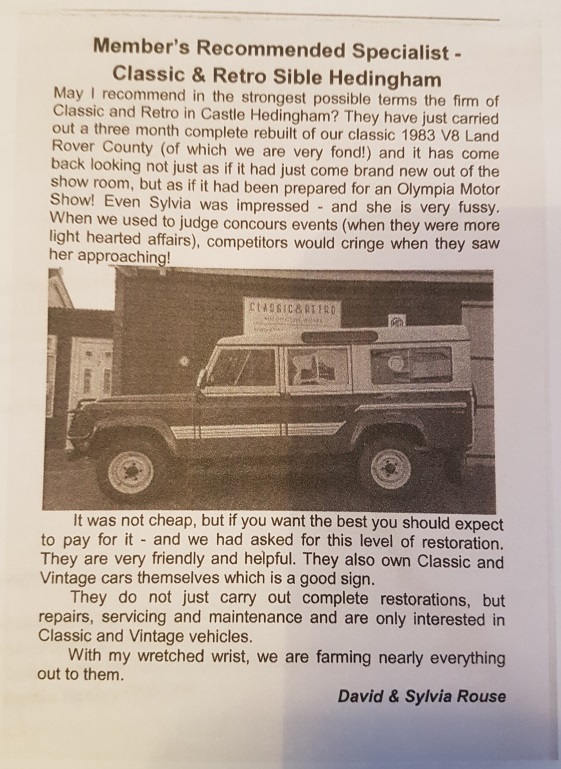 I would thoroughly recommend Classic & Retro to all classic car enthusiasts. We have been out in Madge twice since you worked your magic. Friends were very pleased to see the splendid finish on the bodywork, they has a Morris Minor about 40 years ago. we are really grateful for all your hard work. Many thanks for your work on my Triumph Spitfire, I was very pleased with your depth of knowledge. I'm pleased when I look at the car and see that the little things - that niggled for years - are resolved. In all the years of owning MG I have never come across a more brilliant who is able to turn his hand to any aspect of classic and retro cars. Chris Martin (Founder & director) is a hard working perfectionist, his service is second to none. When I drive away from his premises with either my MGB or MGBGT they drive like new. All my MG friends now go to Classic and Retro with complete confidence of a job well done. Very Happy with the excellent service! I was kept fully informed of the progress all the way through the restoration and the results are superb. the car look as good as new.